Over the last few years, links between the Beaumaris Singers and students from Harper Adams University have been growing stronger, and we have been delighted to welcome many students as members of our choir. This entry was posted in News on November 23, 2015 by Helen Culshaw. 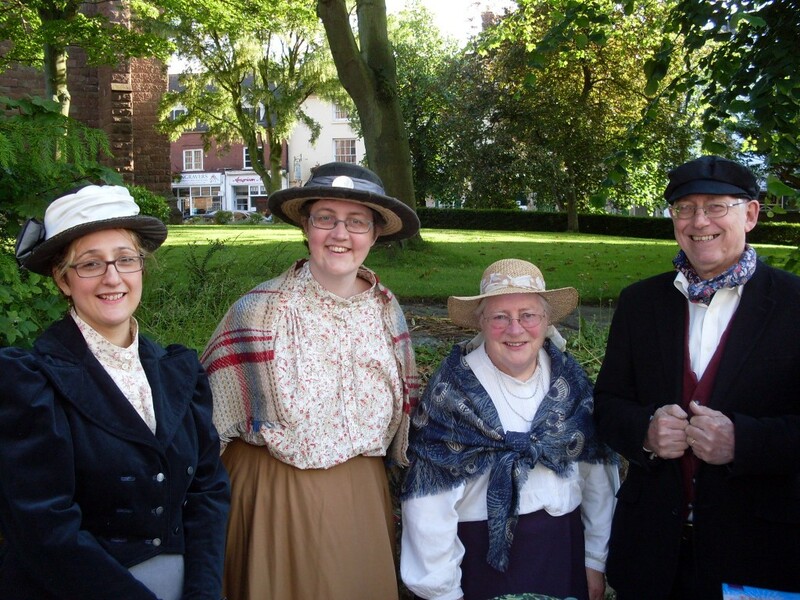 On Friday (19th June) the Beaumaris Singers were represented at Newport’s annual Old Tyme Market by Simonie, Peter, Helen M and Helen C.
We enjoyed a prime spot next to Aldi, who were giving away free cake all evening in advance of their opening in August! This entry was posted in News on June 21, 2015 by Helen Culshaw. 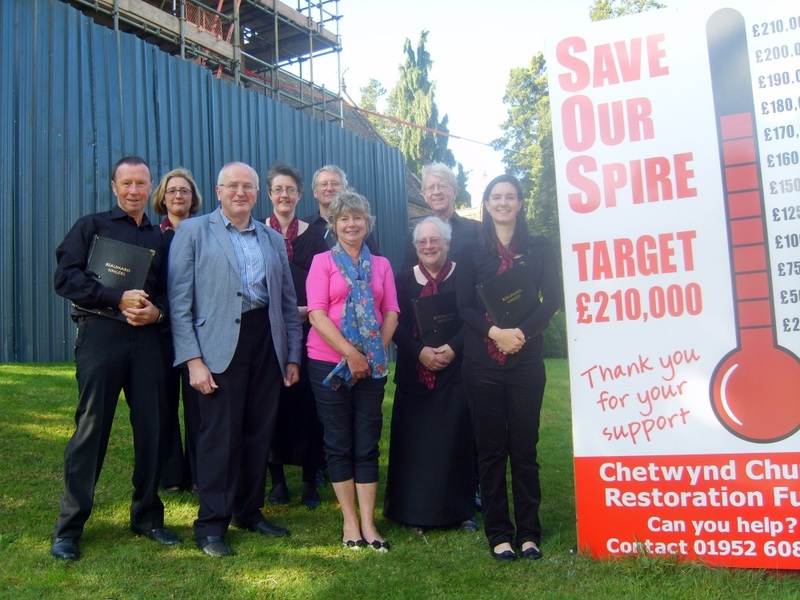 Newport-based mixed voice chamber choir the Beaumaris Singers will be visiting St Michael’s Church in Lilleshall on December 6th with a festive concert to raise funds for the Chetwynd Church Spire Fund. Starting at 7pm, the programme will include ‘Fantasia on Christmas Carols’ and a selection of choir and audience festive favourites. The Beaumaris Singers will be led by Simon Collins, Director of Music, with organ accompaniment, and the audience will be invited to join the choir in song. Tickets, priced at £8, are available from choir members (01952 820851) and on the door. Mulled wine and mince pies will be served. Full details are available on the Event page here. This entry was posted in News on November 10, 2014 by Helen Culshaw. 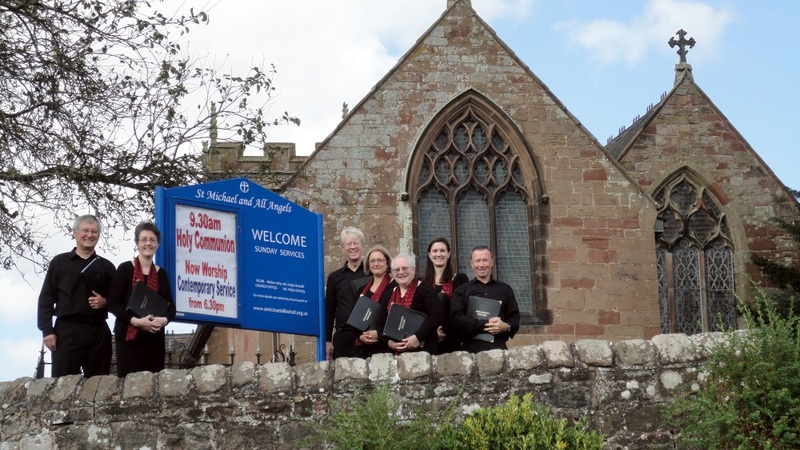 Newport-based mixed voice chamber choir the Beaumaris Singers will be visiting St Michael’s Church in Lilleshall on October 11th with a concert of Choral Classics as the first concert of their 26th season. The concert will start at 7pm and all are welcome – there will be something for everyone to enjoy, from Rutter’s ‘Gaelic Blessing’ to Bruckner’s ‘Locus Iste’ and many other items including Bach, Fauré, Haydn, Byrd, Tallis and Purcell. The Beaumaris Singers will be led by Simon Collins, Director of Music, with organ accompaniment, in the magnificent setting of this Norman church with its fine two-manual organ, installed in 1891. Tickets, priced at £8, are available from Fran Taylor (01952 604718), choir members (01952 820851) and on the door. Refreshments will be served. This entry was posted in News on September 13, 2014 by Helen Culshaw. 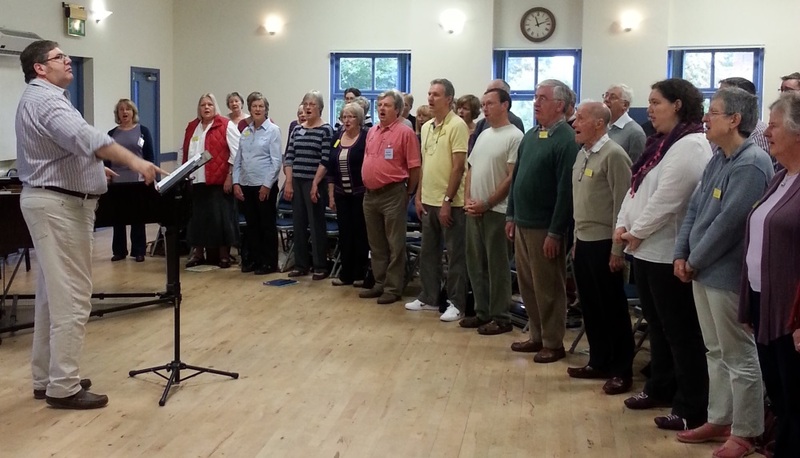 A mixed voice chamber choir is throwing open its doors at a singing workshop. The respected Beaumaris Singers are starting their 26th season with a ‘Come and Sing’ day that is open to all. It’s a good opportunity for people, young and old, to try out their musical skills, however small, and enjoy the emotional power of singing together. Along with the choir, visitors will be learning and performing some of Bruckner’s most beautiful motets all in one day. Bruckner wrote over thirty motets, inspired by his intense religious faith. For a 19th Century Austrian composer, they are surprisingly modern, having harmonic scrunches, dynamic contrasts and antique modalities. Perhaps these features make the motets interesting and yet easier to sing than is often thought. With the help of accompanist, Pam Pickford, the musical Director Simon Collins will carefully guide singers towards a performance at 4.30pm that will be free for all to attend. This entry was posted in News on August 24, 2014 by Helen Culshaw.